Recently, I ran across a ZUS smart "car charger" for about $15, at first glance, I thought it was a bit gimmicky and did not think much of it. But when I realized that any half-decent car/cigerette lighter charger with Qualcomm's quick charge 2.0 would cost around $10-15, it caught my attention. Aside from the fact that this charger has 2 ports (one with quick charge 2.0), it has a built-in bluetooth module which stays connected with your phone on the background. 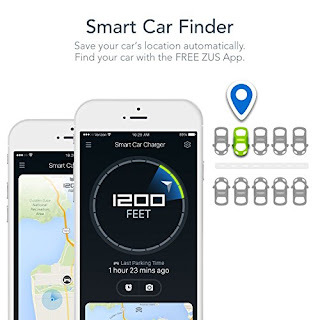 It offers some features but notably the best one is the ability to tell you where you left your car. The technology here is rather simple, the phone and the plug is connected while your engine is running. The minute you park and shut down the engine, this plug is no longer active. Essentially using its last noted location as a reference point to where you parked your car. It's stupid simple but brilliant. In a sense, its not really a smart charger, because if someone were to move your car without your phone or logged into your Nonda account, then it would not tell you the correct location. 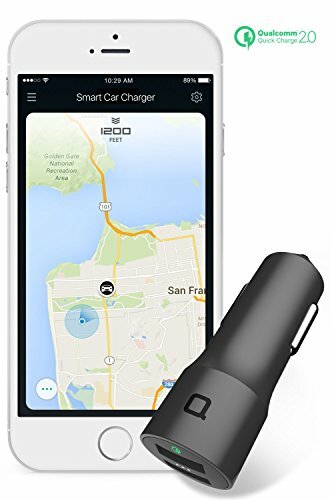 This is not a ground breaking mobile solution but at $15 and if you need to update your car charger plug anyways, its a no brainer. Kind of neat to be able to pull it up and share your parking location with family members while you are at a mall or whatever.